Maintaining a hotel business is no piece of cake. Amidst the hustle and bustle of customers and cuisines, you don’t have time to actually market your services. A website dedicated to your restaurant takes care of the problem. 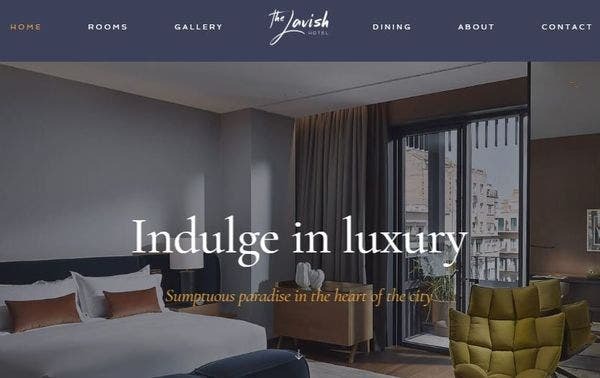 There are numerous hotel themes and templates on WordPress that allows users to create robust and functional websites and stores without any technical complication. 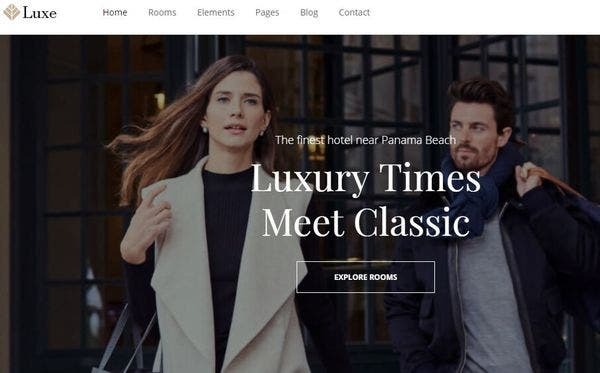 Hotel Luxe is a state-of-art, stunning WordPress theme for hotels. The platform, though budget friendly comes with a lot of advanced premium-grade features. Users can browse through the demo modules and layouts, check out the image galleries, sliders and editing options on the Visual Composer plugin as well. 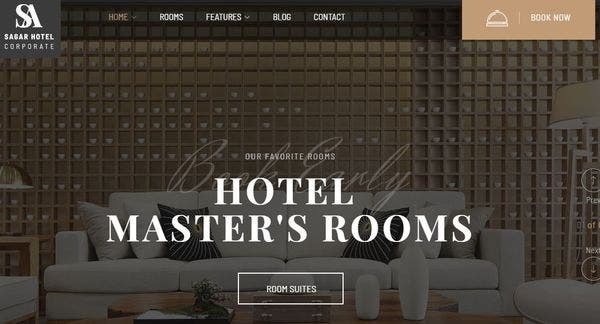 Primo hotel WordPress theme comes with 3 demo modules, 4 blog layouts, and multiple headers and footer designs. 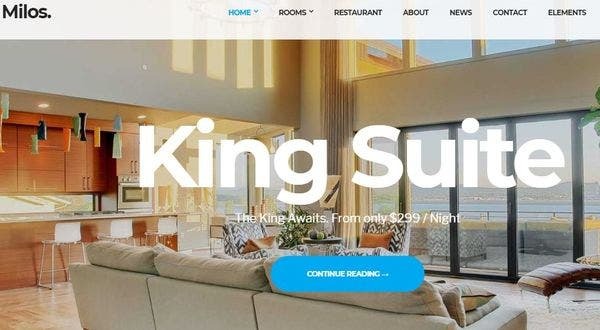 Also, there are other third-party extensions like WooCommerce support, WPML integration, Jet Elements feature and an in-built hotel booking system for synchronizing reservations. The demo modules and templates are mobile-friendly and easy to edit. 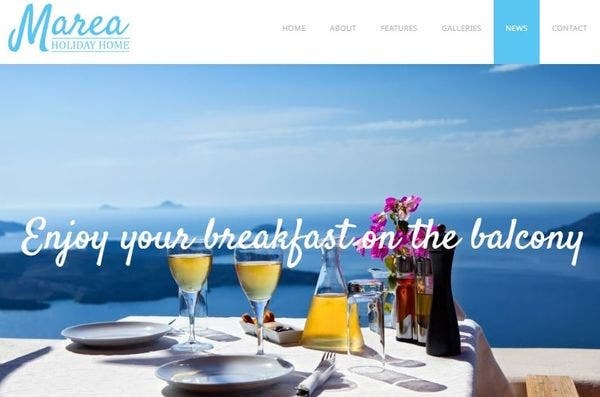 Marea is a platform designed for hotels, motels and travel WordPress websites. The interface is replete with content blocks, customizable sliders, huge CTA buttons, SEO tools and galleries full of images and other graphics. You also get free access to tons of free shortcodes and layouts, all optimized for mobile devices and easy to work with. Haven hotel WordPress website is a sophisticated theme for WordPress user that comes with 3 demo modules. All these demos cater to different business models and can be installed in a few minutes. the interface offers an extensive collection of fonts, color schemes, images, videos, and graphics. The drag and drop editor further enables you to add CTA buttons, sliders and e-commerce functionality to the website. 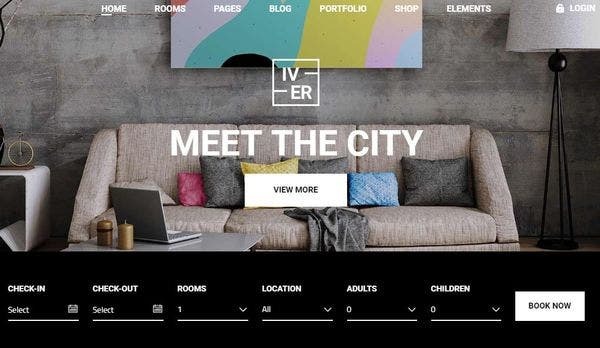 Iver hotel/restaurant WordPress theme is a flexible and versatile option for hoteliers and entrepreneurs who want to expand their business globally. The modern and clutter-free interface allows you to build forms, landing pages, portfolios, blogs, and websites. 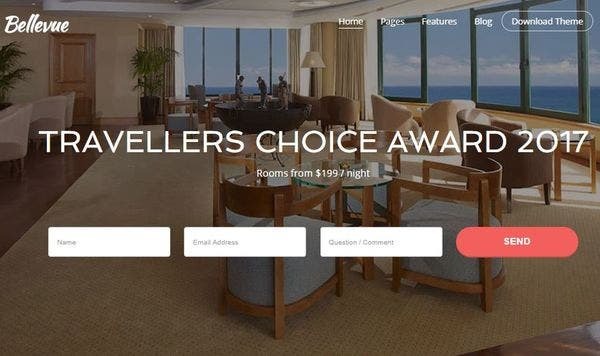 Here, your customers will be able to view rooms, check the prices online and make reservations in a few simple clicks. 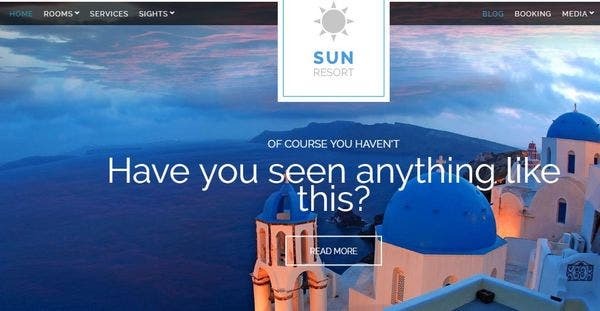 Sun Resort responsive WordPress theme is a great choice for beginners who don’t have a lot of technical experience. The editor gives you a live preview of the content and also allows for real-time customization. The well-organized booking system lets customers place their orders online. furthermore, you can even add image galleries, details about other attractions of the hotel and even testimonials on the front page. 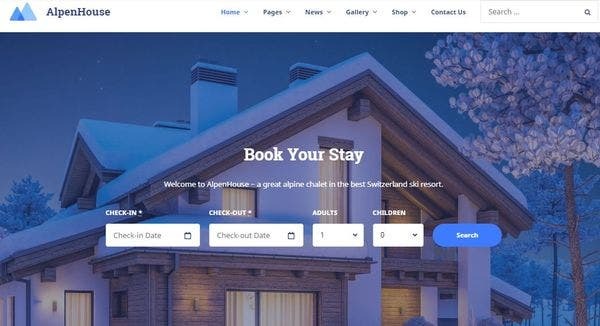 Aquentro caters to hotels, apartments, guesthouses and travel WordPress websites alike. The UI is customizable, loaded with all the standard and advanced widgets and sliders options you’ll need. The MotoPress Hotel Booking plugin allows you to set prices, track bookings, offer coupons and even block access to certain sections of the page. JetPack testimonials feature and Contact form builder add on to its authenticity. 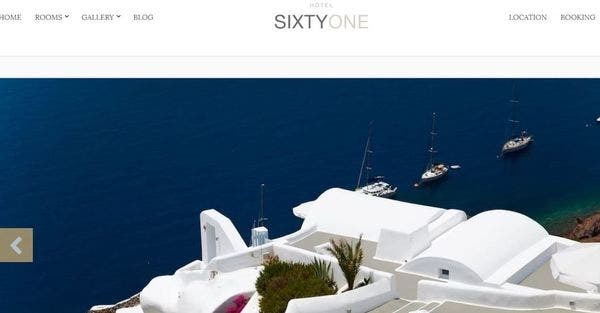 Sixty One is a stunning hotel theme for WordPress that allows users to make reservations, track booking orders, display the day’s specials and add beautiful image galleries on their homepage. The in-built booking request form enables customers to place their orders in minutes. Plus, the interface is very intuitive, including several widgets and content blocks for adding text and other graphics. 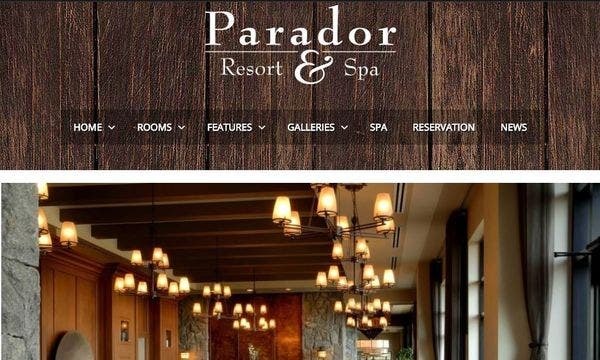 Parador is a mobile-friendly WordPress theme curated for resorts, hotels, rental apartments, and other establishments. All the elements on the interface are customizable, compatible with mobile-screens and convenient to access. Here, you can not only display the services offered by your business but also keep track of your transactions in one place. 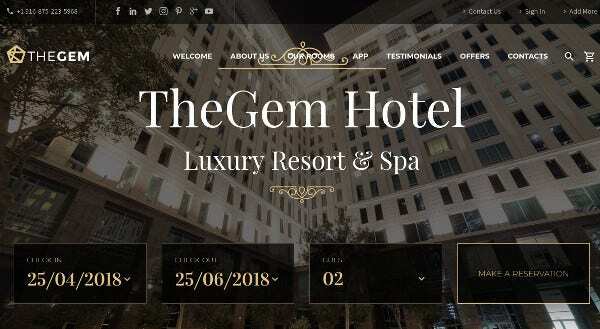 The Gem as the name suggests is an elegant WordPress theme for hotels that comes with 52 layouts and demo models. The interface incorporates over 60 elements, each customizable and optimized for mobile devices. The Visual Composer plugin, Slider Revolution, animations, parallax navigation features add on to the credibility of the theme. Mountain View is pretty lightweight and convenient for beginners. There are loads of layouts and premade demo modules to choose from. Even the interface is armed with customization options like Google Fonts, Jetpack testimonials, and Contact Form builder. Other third-party plugins let you manage bookings and synchronize your business with establishments like Airbnb’s and other OATs. 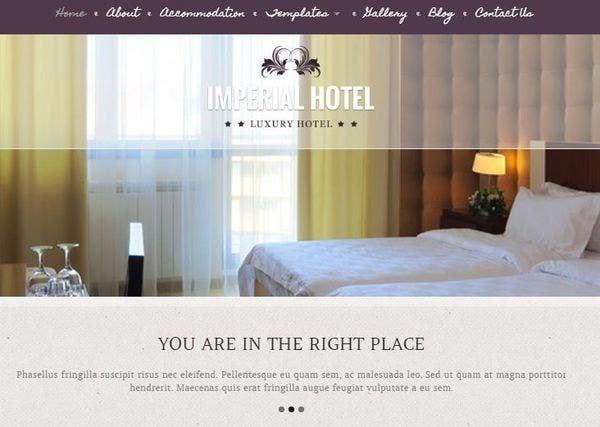 Imperial is a retina ready WordPress platform tailor-made for hotels and restaurants. For starters, the interface is wonderfully responsive, armed with a dashboard full of customizable tools. There are also loads of readymade layouts and demo modules, all compatible with mobile devices. Here, you can add testimonials, contact forms, build portfolios, track all orders online and do a lot more. 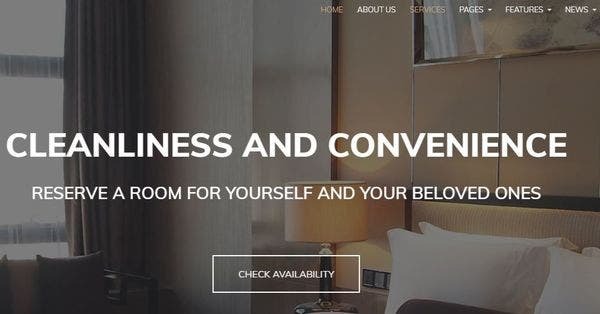 Bellevue is a stylish WordPress theme vibrant and customizable hotel theme by WordPress that comes with WPML plugin and WooCommerce integration. The interface comes with the Master Slider Responsive Touch/Swipe feature, readymade forms, and demo modules. Plus, the built-in booking system and calendar allow you to mark events, track orders and monitor the reservations made. Milos is a bold and minimal theme that combines the best of visual appeal and advanced functionalities. The interface comes with a wide range of editing options to customize the background, the color schemes, for adding content and enhancing the SEO of the page. Here, you can track orders, offer in-house catering, track reservations and do a lot more. Alpenhouse is a multipurpose WordPress template that allows you to build portfolios, blogs, web pages and stores alike. here you can manage multiple bookings, take in multiple forms and reach out to several customers at once. The MotoPress booking system and Elementor page builder make the theme all the more user-friendly and adaptable. Lotus is social media ready WordPress theme comes with loads of editing tools and options for building hotel websites that WordPress users would love to explore. The built-in slider offers easier navigation options. Furthermore, the interface is replete with tools for adding retina ready images, choosing readymade demos and tracking the orders placed online. 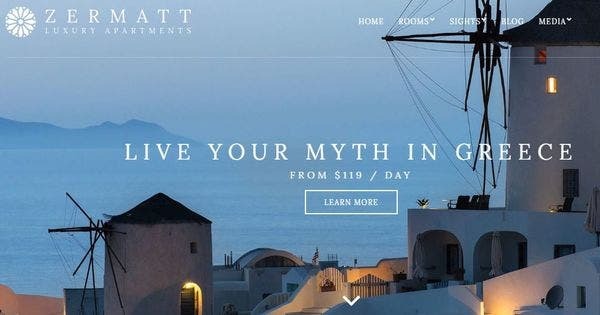 Sailing is a feature-rich platform for hotels that are compatible with most WordPress themes. Here, users can access the TP Hotel Booking plugin for free that allows you to track orders, keep a record of the reservations made in real-time. The layout also helps you showcase the room types, coupons and payment options for quick and hassle-free transactions. 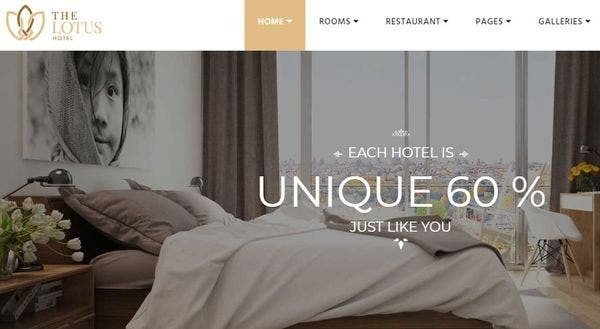 Acardia is a modern and minimalistic WordPress theme for hotel businesses that suits both amateurs and professionals alike. The interface comes with a full-screen slider, custom backgrounds, readymade content blocks, personalized color schemes, fonts, headers and more. The built-in form template and third-party plugins help you track reservations and bookings. 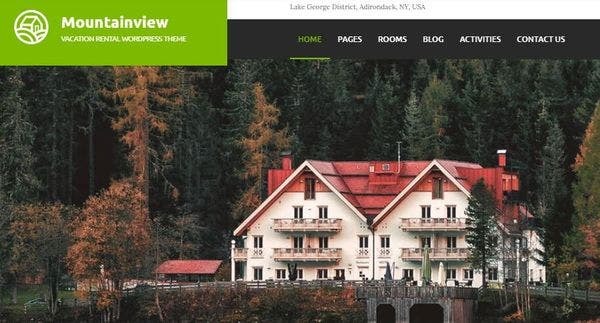 Zermatt is a stunning and elegant WordPress theme for hotels, and guesthouses. The drag and drop interface is loaded with editing options and tools. 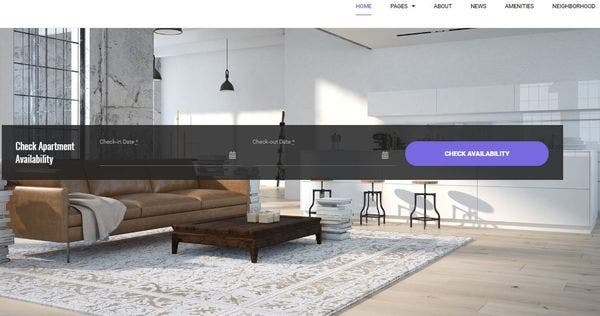 Here, you can customize the content blocks, choose from the many demo layouts, add CTA buttons, menu options, image galleries and build contact forms without any coding. 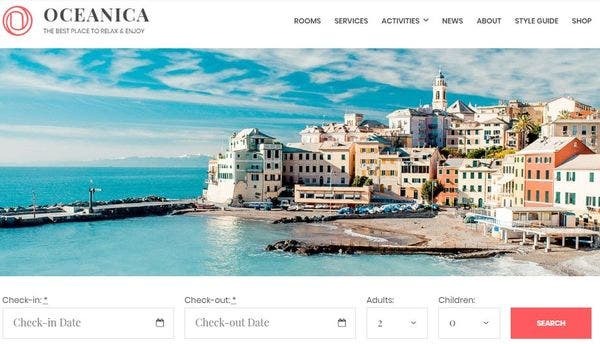 Oceanica is the perfect WordPress theme for hotels, apartments and other rental properties. The responsive interface has a set of standard editing tools for customizing the web page. Plus the WP hotel booking plugin allows you to list properties, take online orders, track the reservations, offer online catering services and block certain dates with relative ease. 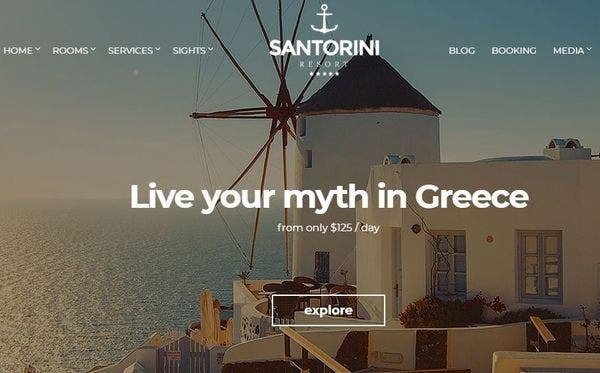 Santorini Resort is a great WordPress theme for hotels, guest houses, restaurants, and rental rooms. The homepage lets you display image galleries, large CTA buttons and testimonials. Plus, the online reservation system allows customers to book rooms, make table reservations and even order food online. 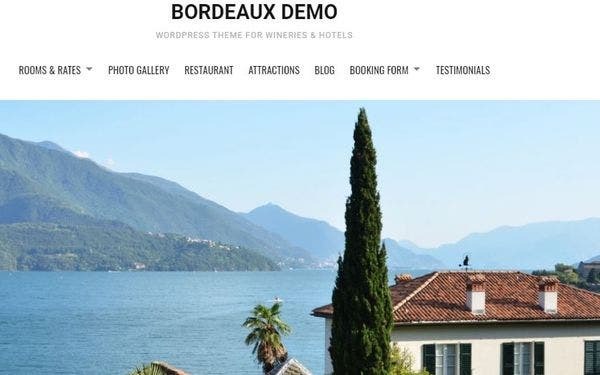 Bordeaux is a user-friendly theme suitable for all hotel and hospitality related establishments. Here, users can not only showcase the menu, the day’s specials and other services of the hotel, but also allow customers to place their orders online. The in-house editor lets you make real-time changes to the website and also get a live preview of the page before you publish it on the server. What’s The Best WordPress Theme? Finding the right theme for your hotel business is a daunting task. We would recommend intuitive themes like Primo or Haven for small-scale establishments. Also, platforms like Iver or the Gem is suitable for first-timers with their user-friendly tools and customization options.